The provision of public water and wastewater treatment services is often a key tool in managing development. Since these utilities are often provided by private companies or authorities not under direct municipal control, managing growth and development is often challenging at the municipal and county level. The Tri-County Regional Planning Commission has prepared the Regional Growth Management Plan (RGMP) in an effort to address this challenge. 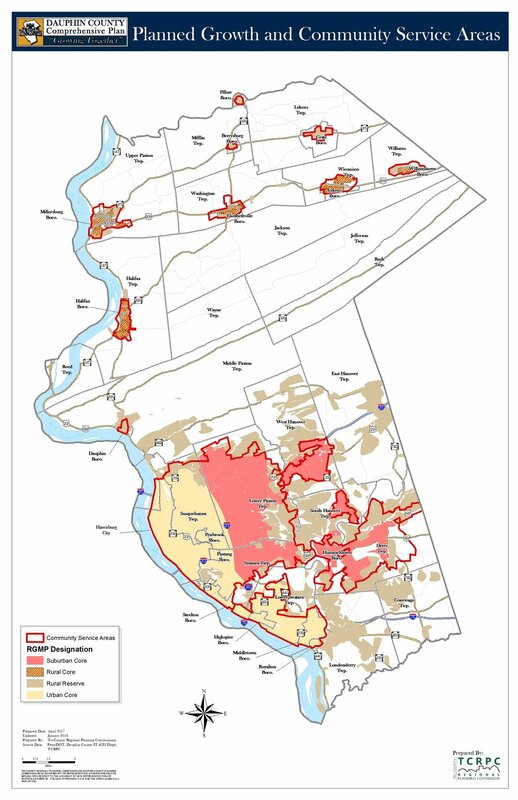 The RGMP contains growth projections that have been reviewed with all of the region’s municipalities, and defines Community Service Areas (CSA) to provide for managed growth through in-fill and reasonable expansion adjacent to existing developed areas. The goal is to have the majority of development take place within the CSA boundaries as a means of reducing the cost and complexity of providing public facilities and services and reducing the burdens on public infrastructure.